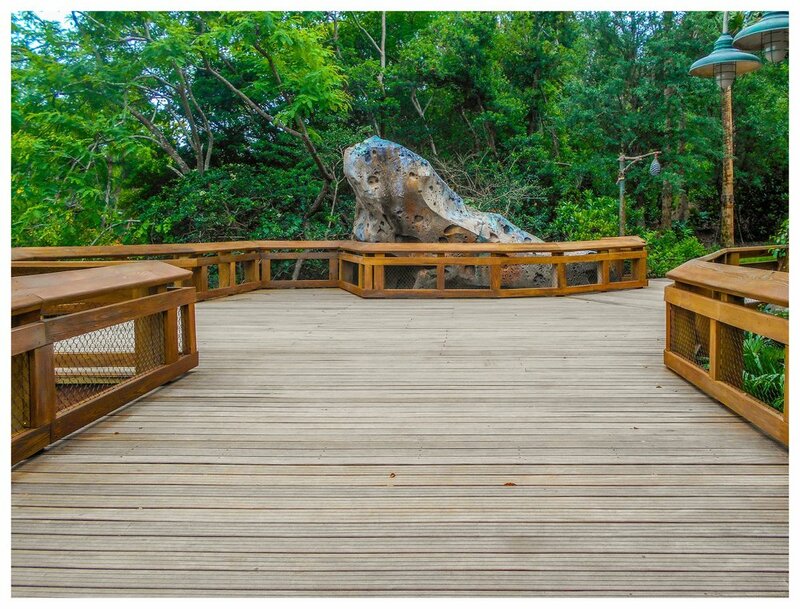 Backwoods Bridges specializes in the design and construction of custom timber pedestrian bridges and walkways. 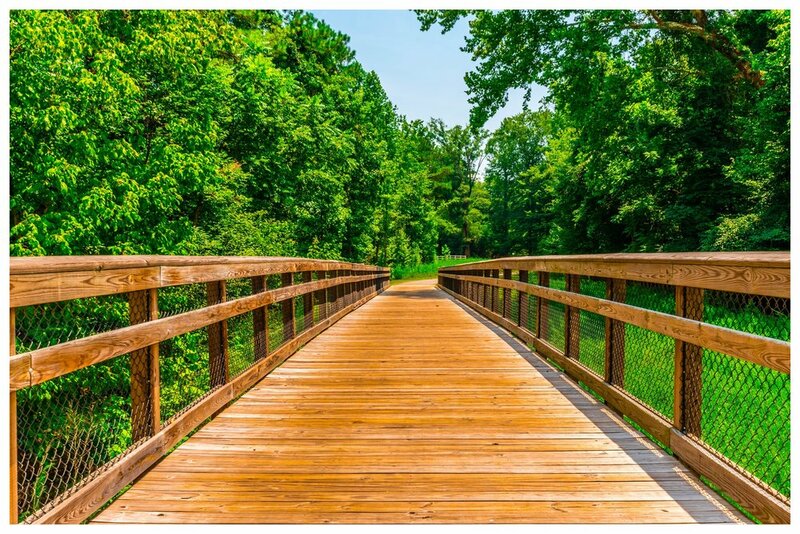 At Backwoods Bridges we specialize in the design and construction of timber pedestrian bridges also commonly known as a footbridge or wooden bridge. 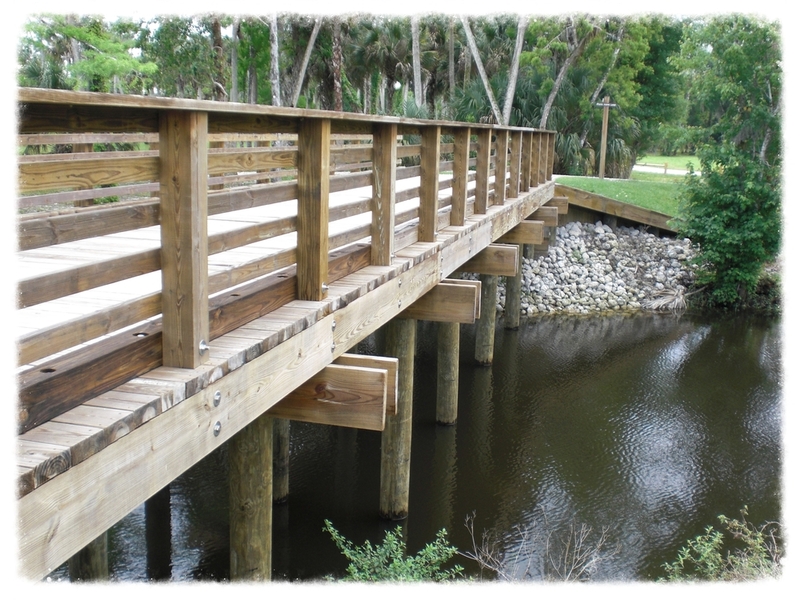 With over 100 years of combined experience, our team is uniquely equipped to conceptualize and construct everything from pedestrian crossings and multi-use trails and paths to golf cart and atv bridges as well as pedestrian walkways, covered bridges and bicycle overpasses. We offer a complete turn-key package solution to our clients, including complete design, engineering and on-site construction of all of our structures. 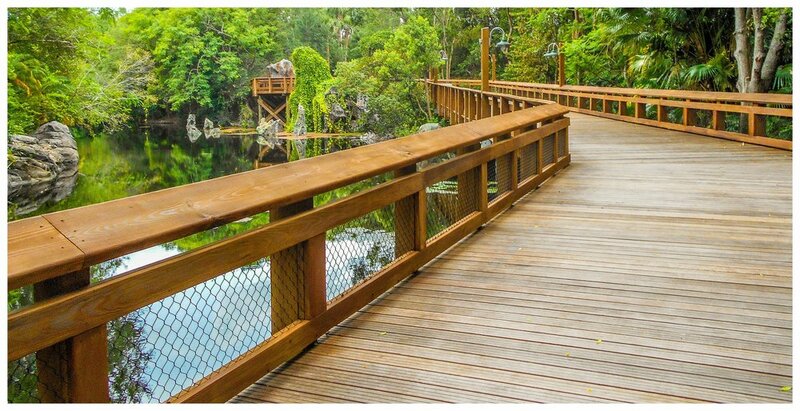 Pedestrian Boardwalk and Timber Bridge. 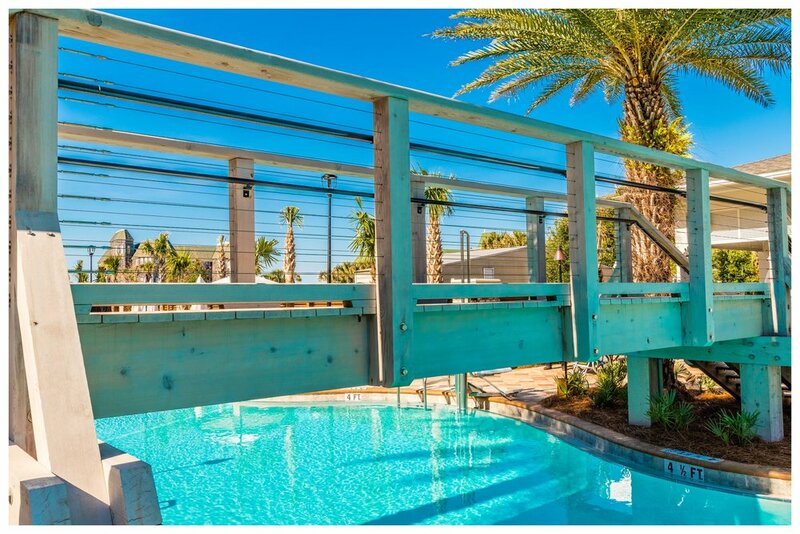 Pedestrian Bridge Over the Lazy River Pool. 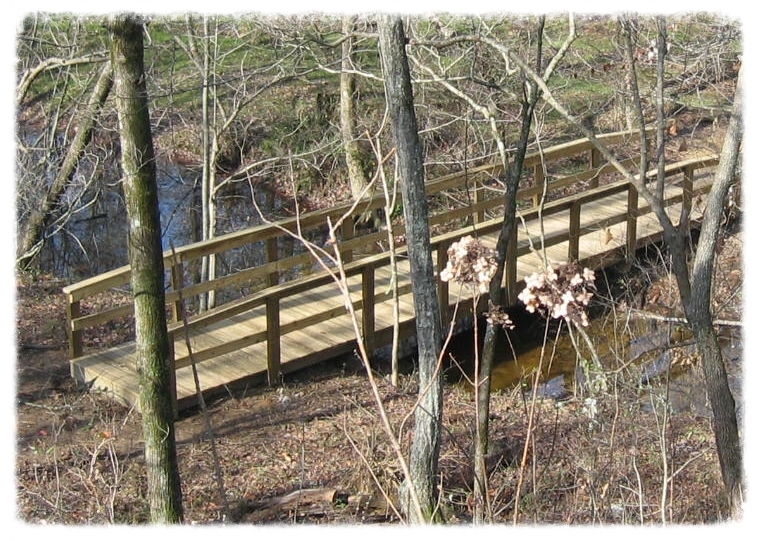 Pedestrian Bridges Connecting Community Nature Trails. 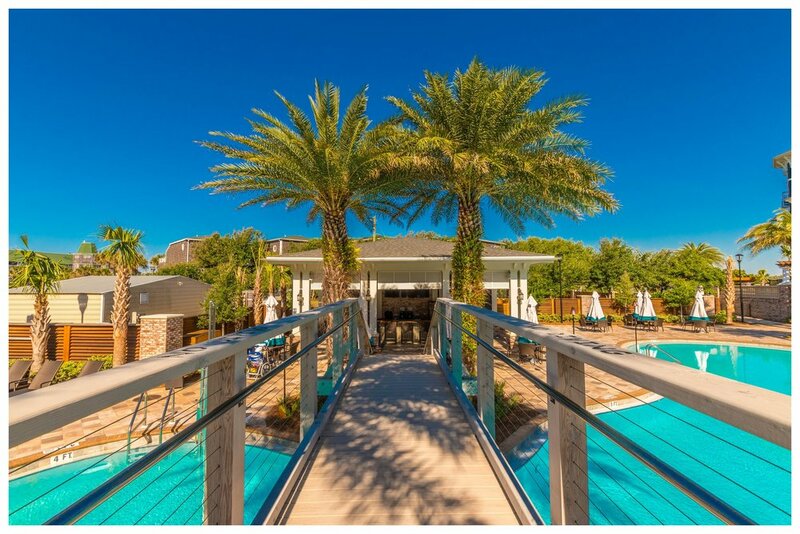 SweetBay is a one of a kind coastline community located in beautiful Panama City, FL. 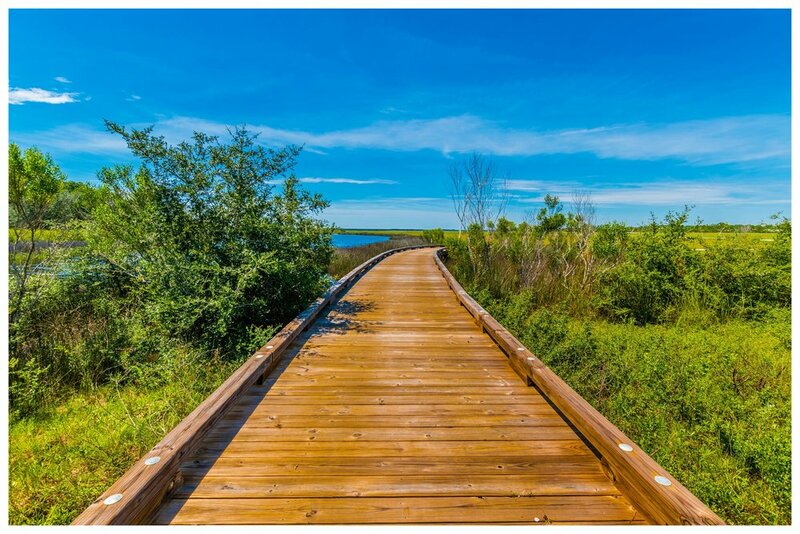 Backwoods Bridges had the privilege of designing and constructing a series of pedestrian bridges that connect the community's nature trails, families, neighbors and friends to the bay. Pedestrian Pathway and Cart Bridge. 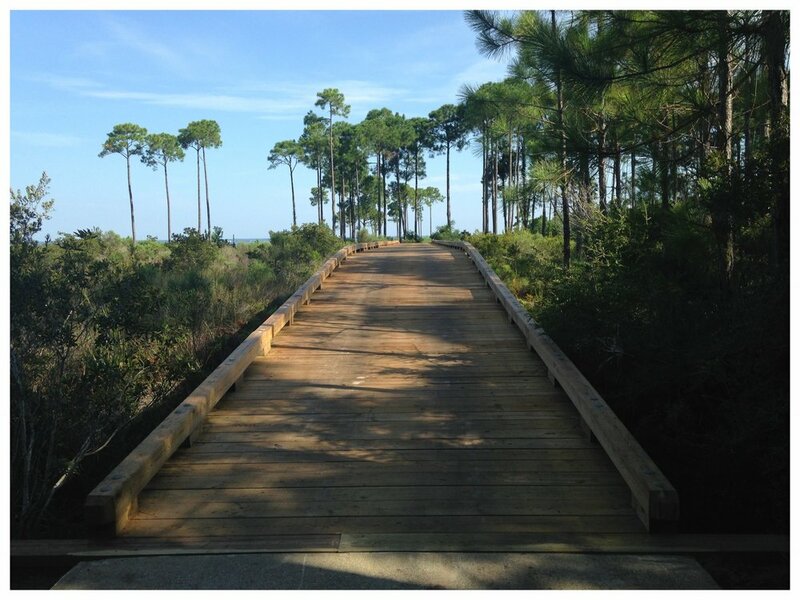 Pedestrian Foot Bridge & Timber Golf Cart Bridge. 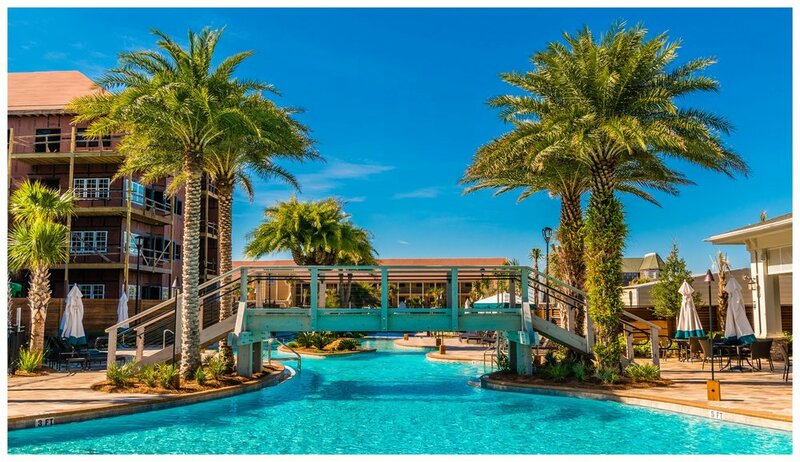 Contracted by the Sandestin Golf & Beach Resort in Miramar Beach, Fl. 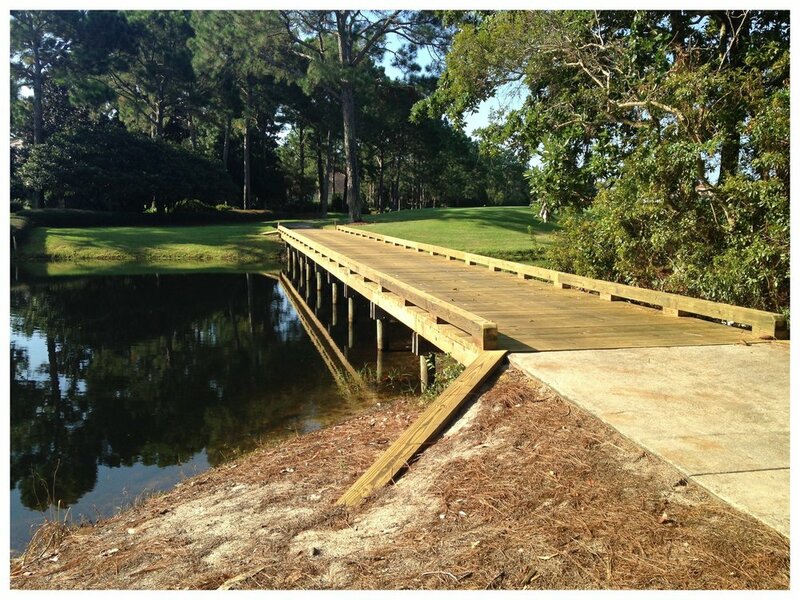 Backwoods Bridges was tasked with the demolition and disposal of a preexisting foot bridge and golf cart crossing as well as the design and construction of functional and nature enhancing replacements for both at the Burnt Pines Golf Course. 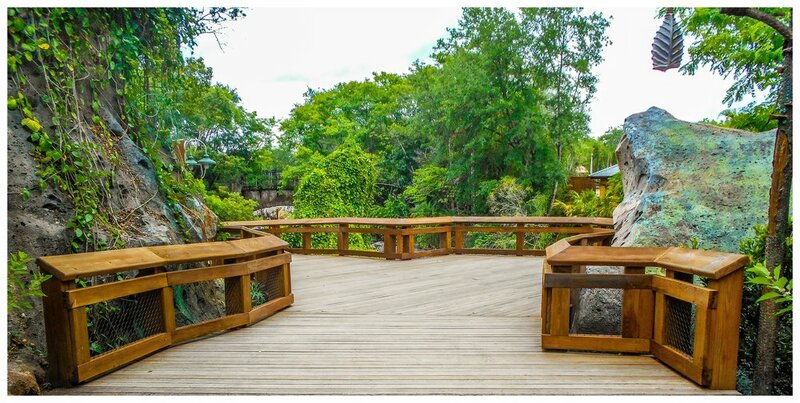 Pedestrian Timber Bridge with Handrail. 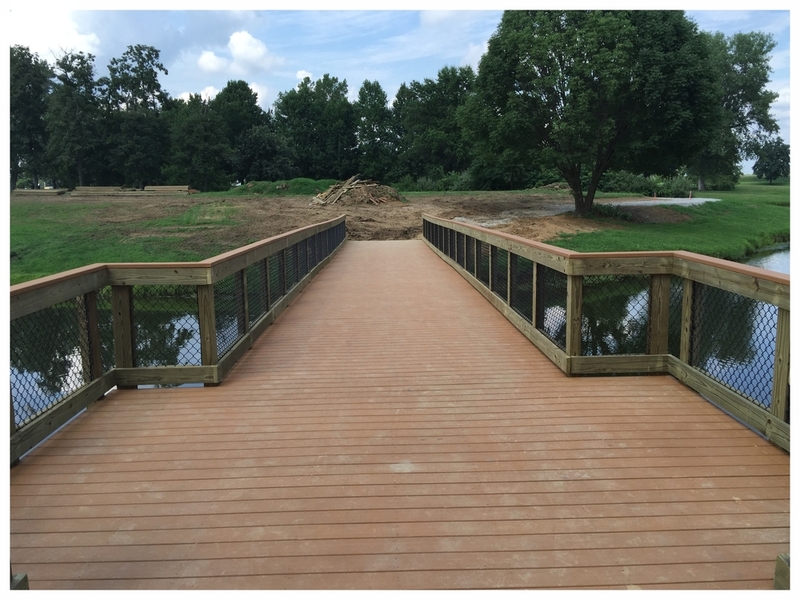 This project was for the design and construction of a custom timber pedestrian bridge with handrail for Belk Park in the City of Wood River, IL. 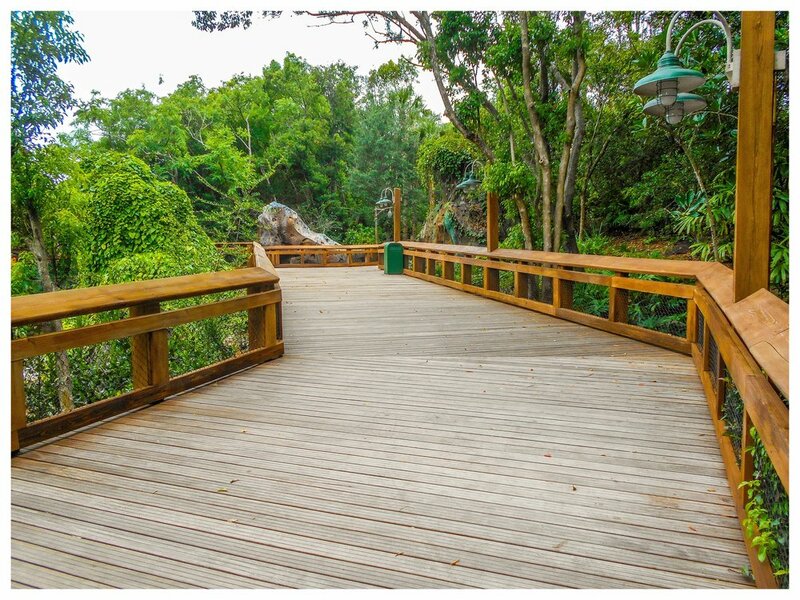 Pedestrian Bridge & Nature Trail with Boardwalk. 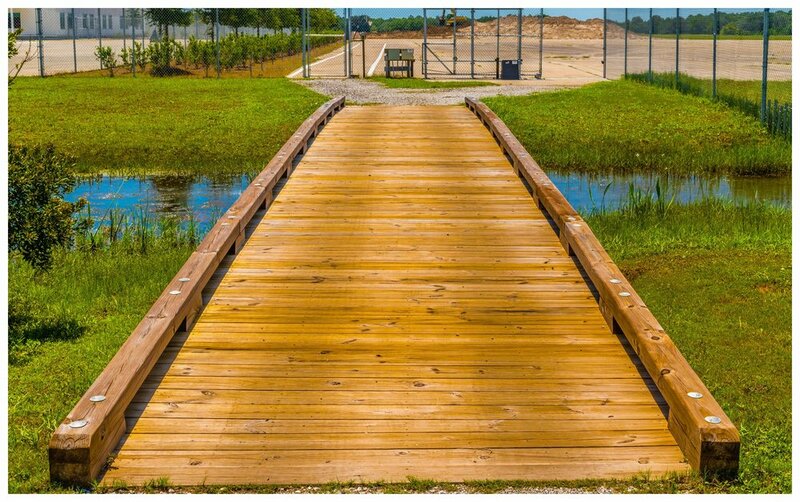 Recreational Trail Bridge & Boardwalk. 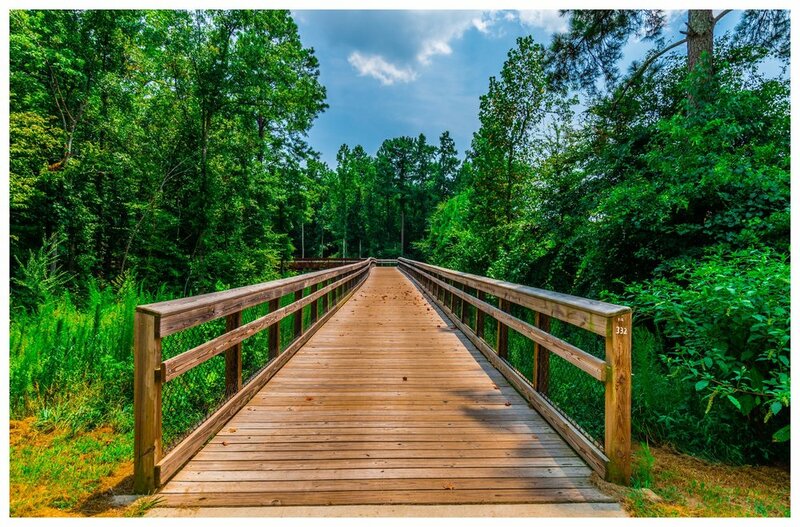 The city of Raleigh, North Carolina has developed The Capital Area Greenway System. This system is a network of recreational trails connecting many of the parks of Raleigh. 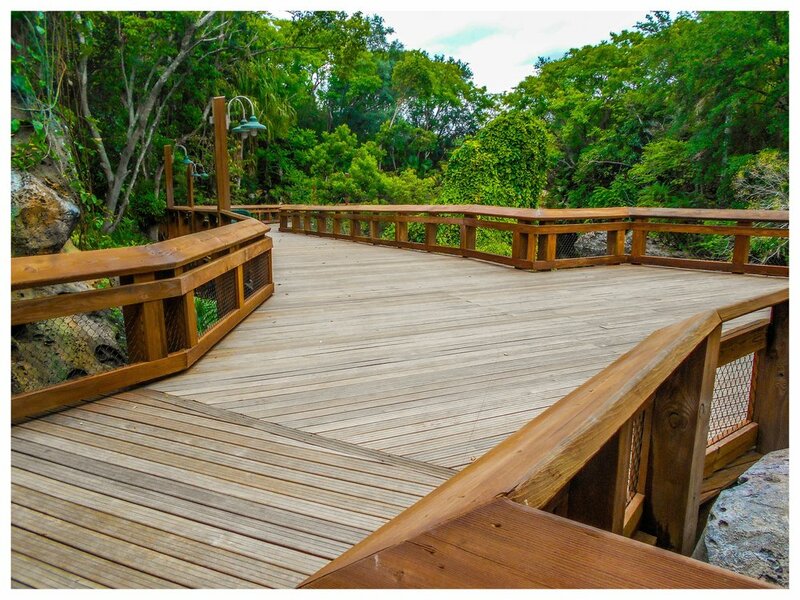 This system was designed to encourage and enhance recreational activities by providing trails for walking, jogging, hiking, fishing, studying nature, and outdoor fun. Construction of all boardwalks and handrail connecting the parks of Raleigh, North Carolina. The project was divided into several contracts: Skycrest, Auburn-Knightdale to Poole Road, Poole Road North, County Line Road, Crabtree Creek, Horseshoe Bend. 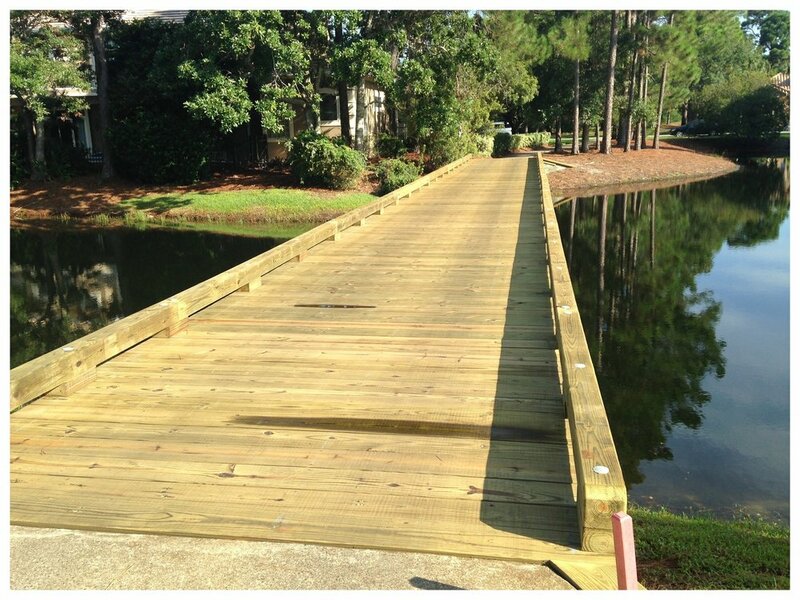 A total of 7,840 linear feet of boardwalk with handrail was installed using top-down construction. 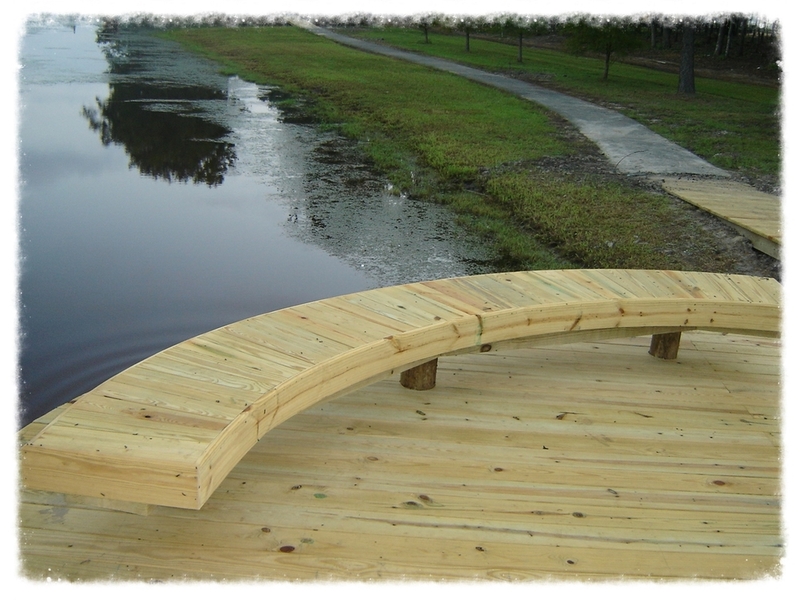 Pedestrian Bridge with Boardwalk, Floating T-Dock & Shade Trellis with Benches. 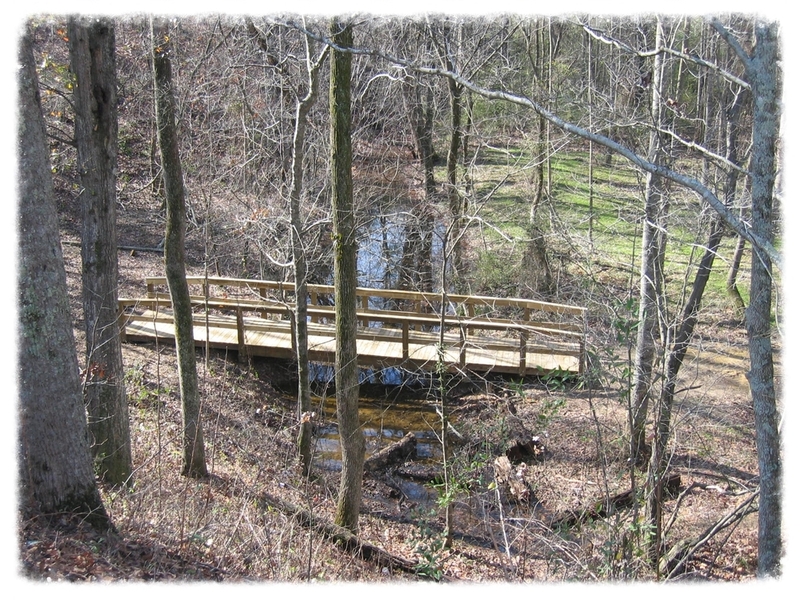 Lake Bridge with Handrails and Viewing Area. 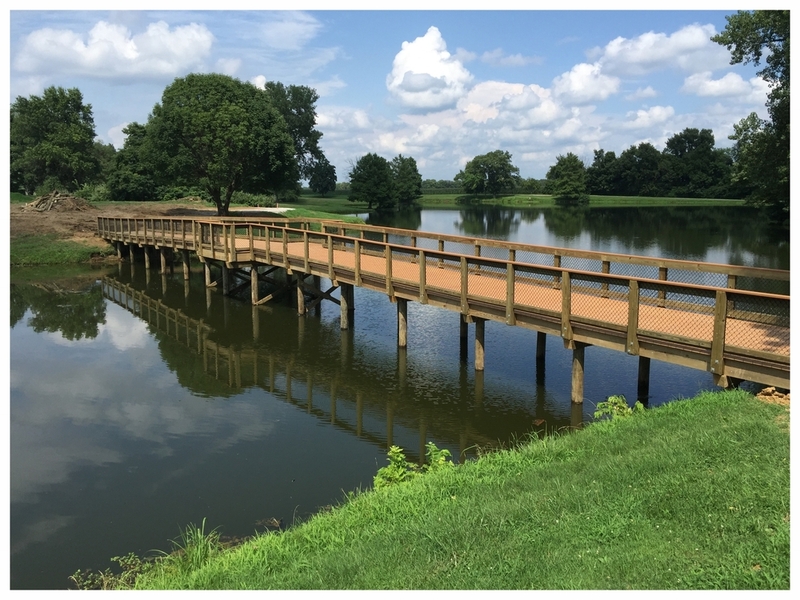 Backwoods bridges was contracted to demolish and dispose of an existing structure located on the property and to design and construct a new lake bridge approximately 260' long x 6' wide with handrails, including a seating/viewing area with benches at the high point of the bridge. Ross Bridge is a master-planned housing development community in Hoover, Alabama. It features an 8,200 yard long golf course, miles of trails, a Village Center complete with restaurants, shopping and entertainment. Backwoods Bridges built four 6’ wide timber bridges for the developments trail system. Three of the bridges are located near the old historic railroad bridge over Ross Creek. Covered Foot Bridge & Pedestrian Pathway. 4 Bridges: 110' x 8' Bridge with handrail and 12' x 40' covered center platform; 50' x 8' bridge with 4 x 6 curbing; 75' x 8' bridge with 4 x 6 curbing and a 40' x 8' bridge with handrail. The sidewalk improvements were made to enhance pedestrian safety in this Alabama Gulf Coast community. Backwoods Bridges built a total of four 8' wide bridges for this project. The highlight of this project is the covered bridge. It is 8' wide on each end and flares out to a 12' x 40' covered center platform. The platform has heavy timber-framed trusses and a metal roof. The three other bridges are all 8' wide and have either a 4' x 6' curb or pedestrian guardrail. All four bridges were built using top-down construction. 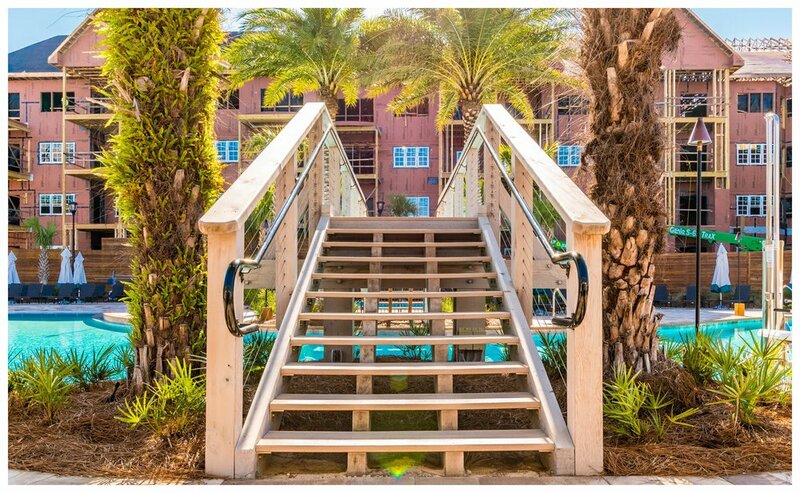 Foot Bridge with Curb & Handrail. 60' x 12' Wide 5 ton pedestrian bridge with curb and handrail. 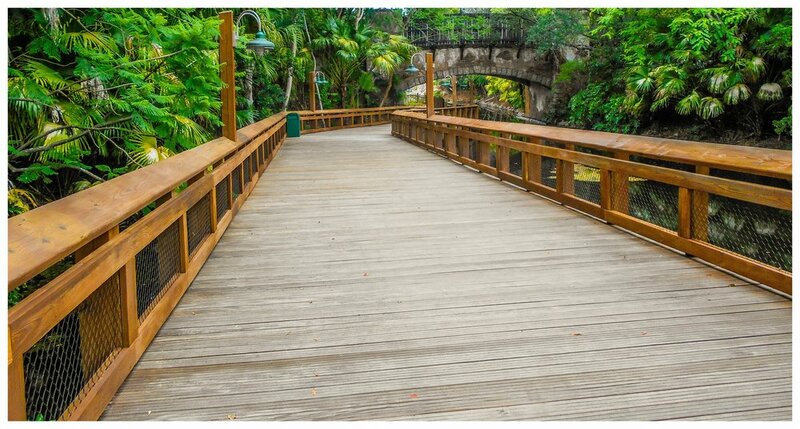 Wood Bridge with Boardwalk & Handrail. 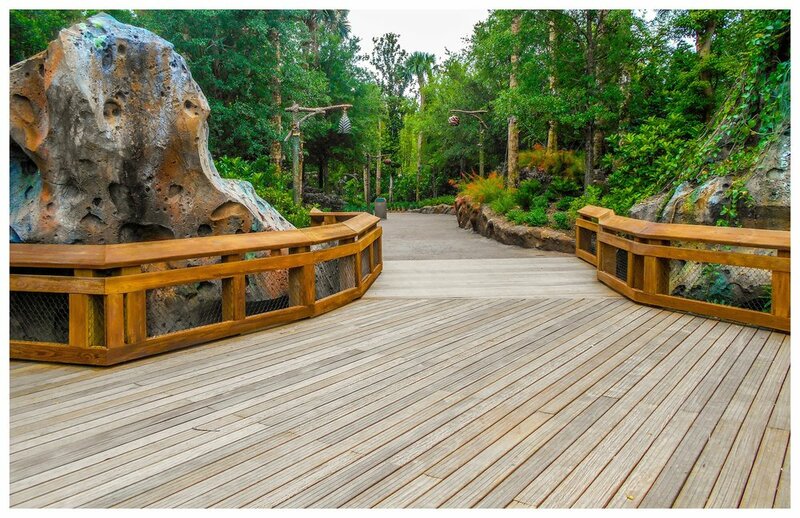 170 LF of 10’ Wide Top-Down Boardwalk with Handrail.